DAVID LE/Staff photo. 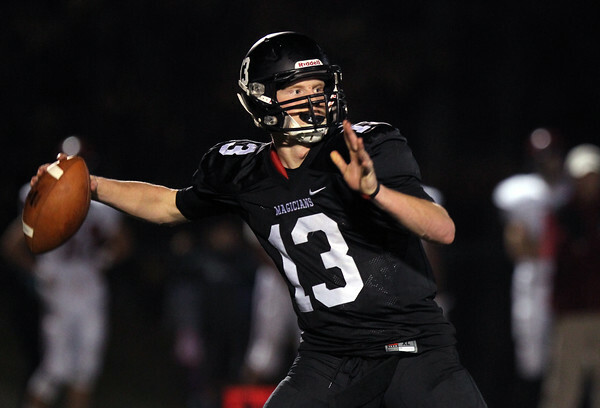 Marblehead senior quarterback Garret Keough (13) winds up and heaves a long pass down the sideline to a wide open Harry Craig who took it the distance for a Magicians touchdown. 11/6/15.